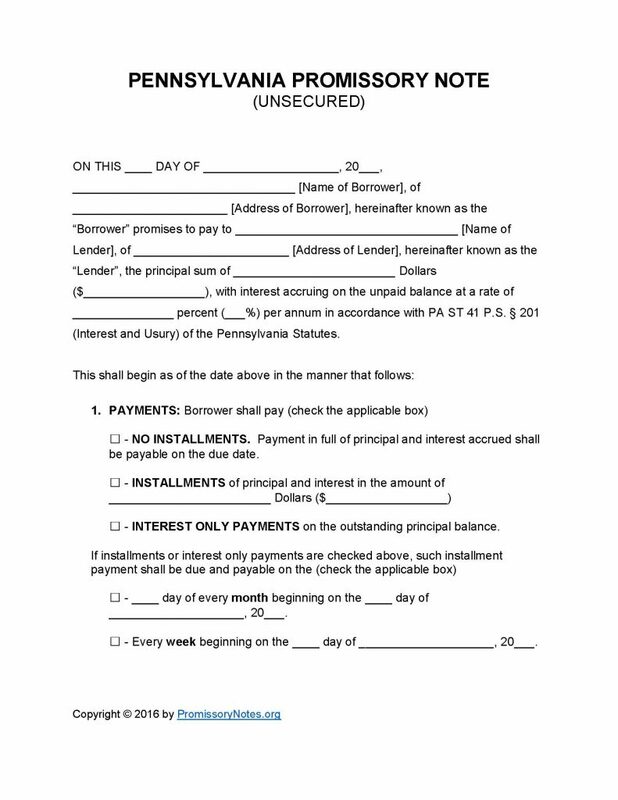 The Pennsylvania Unsecured Promissory Note Template is a legally enforceable document that establishes the parties and terms of a loan. The parties, a borrower and lender, are required to sign the document in order for it to be enforceable in court. 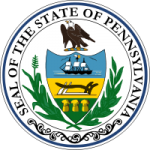 This specific template is designed for use in the State of Pennsylvania. “Unsecured” notes do not require the borrower to provide security (i.e. collateral). Step 1 – Download the template using the links at the top of the page. Note: The document can be downloaded in .PDF OR Word format. Note: If the borrower’s method of repayment is “Installments” or “Interest Only,” the payment frequency (monthly/weekly) must be submitted. Fill in the final due date of the loan’s principal sum. In the event of a default the borrower will be charged the interest rate submitted in this subsection. If the borrower misses a scheduled installment, and fails to make the payment within the number of days specified in this subsection, they must pay an additional fee. Submit the fee in USD. Provide how long the borrower will have, after defaulting, to cure the default. If the borrower fails to cure the default within this amount of time, the lender has the right to declare the full balance of the note due immediately. Step 8 – Signatures – This subsection must be completely filled out in order for the form to be legally valid. Submit the names of the borrower and lender. Borrower/lender must sign their names.